Two tips in one highlighter! 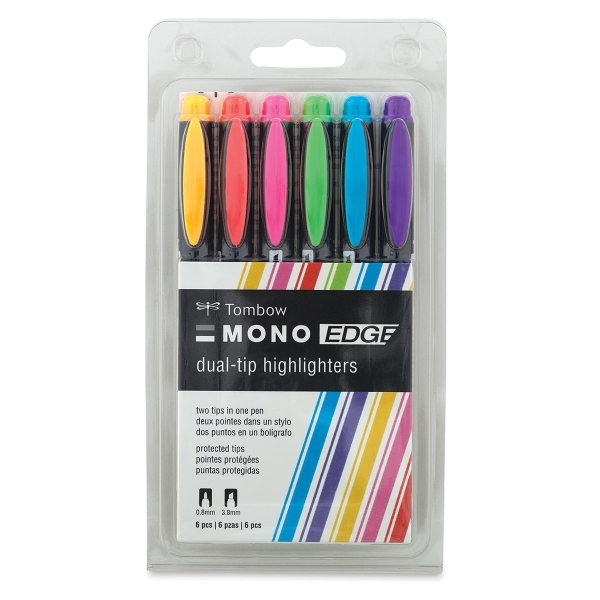 The Tombow Mono Edge Highlighter comes in a variety of vibrant colors, perfect for highlighting, color-coding, and decorating planners, journals, notebooks, and study guides. 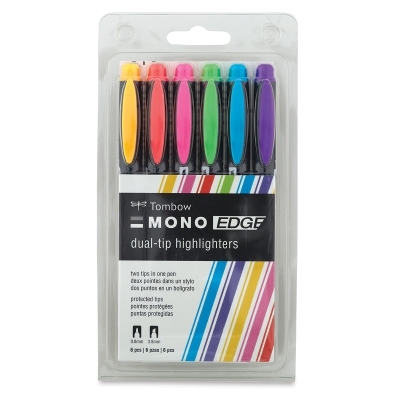 Each highlighter has a broad chisel tip on one end and an extra-fine bullet tip on the other. Use the fine tip for underlining text and writing margin notes, and the broad tip for highlighting lines of text quickly and completely. 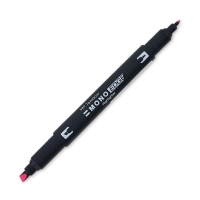 The fast-drying ink won't smear when highlighting over pencil or ink, and it won't bleed through most papers. A protective plastic sleeve helps maintain the shape of the tips, even when using metal rulers or stencils. The set of six Tombow Mono Edge Highlighters includes one each of Golden Yellow, Pink, Red, Sky Blue, Purple, and Yellow Green.